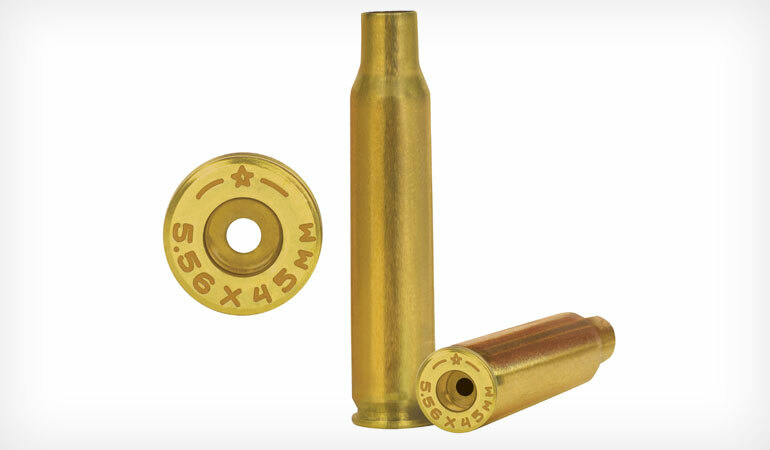 Starline Brass has added another rifle caliber, the 5.56x45mm to their line-up of rifle brass. Starline’s new 5.56x45mm rifle brass is produced with the same quality control standards that Starline has become known for, and is available for half the price of comparable quality cases. The 5.56x45mm NATO is the military version of the .223 Remington, which is one of the most widely used centerfire cartridges today. Starline’s 5.56x45mmbrass is identical to Starline’s .223 Remington brass except for a slight change in the metallurgy making it harder at the base of the case.